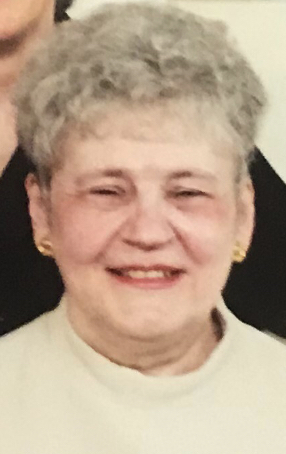 Obituary for Anna C. (Clemmer) Giardiello | Stitzel Funeral Homes and Crematory, Inc.
Anna Conrad (Clemmer) Giardiello, 80, a resident of Country Meadows in Wyomissing, and formerly of Muhlenberg Township, died April 11, 2019 at Tower Health – Reading Hospital. She was the wife of Nicholas Joseph Giardiello, who died September 27, 2017. They had been married for 47 years. Born January 26, 1939, in Washington Township, Berks County, she was a daughter of the late Melvin H. and Amanda (Conrad) Clemmer. Anna was a 1956 graduate of Boyertown High School and a 1960 graduate of Albright College. She was employed as an English and Spanish teacher for 13 years, working with Central Dauphin School District from 1960-1962, and ending her career with Oley Valley School District, where she worked from 1962 until 1973. In addition, she taught a language class part-time in the Muhlenberg School District. She was a past member of St. John’s (Hill) United Church of Christ, Pike Township, where she was active as a Sunday school teacher, a member of the Women’s Guild, a member of the choir, and a volunteer with Vacation Bible School. Anna enjoyed music and studied piano for nine years and violin for three years. She loved traveling, and she and her husband traveled throughout the United States and Canada together, including many trips to Utah. Surviving is her sister, Janet C. Clemmer of Shillington; her stepson Nicholas J. Giardiello, Jr., husband of Afi of Nags Head, NC; and her step granddaughter, Kelsi (Giardiello), wife of Riley Benson of Charlotte, NC. In addition, she is survived by her brother-in-law, Joseph F., husband of Leslie (Yeager) Giardiello of Wyomissing. There are also a number of cousins surviving. Services will be held Tuesday at 11 a.m. at Stitzel Family Funeral Homes & Crematory, Inc., 423 Main Street, Oley. Viewings will be held Monday evening from 6:30-8:00 and Tuesday from 10:30-11:00 a.m. at the funeral home. Burial will follow in Hill Church Cemetery, Pike Township. In lieu of flowers, contributions may be made to: Nicholas Giardiello Scholarship Fund, c/o Muhlenberg School District, 801 Bellevue Avenue, Laureldale, PA 19605. The family would like to especially thank the doctors, nurses and staff on N2-South at Tower Health-Reading Hospital for the special care they gave to Anna, and the compassion shown to the family.